Managing your firm’s exposure to risk is now more important than ever. 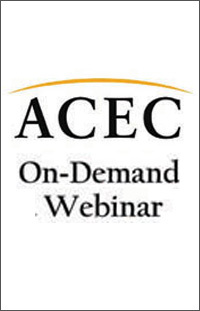 That is why you are receiving this notification for an upcoming online seminar presented by The Hartford and Marsh Sponsored Programs and Program Administrator for The ACEC Business Insurance Trust (BIT) Program. This program is designed to help firms understand their exposure to data breaches and how that impacts risk in the workplace. Attendees will come away with valuable advice that you can use to help mitigate your losses and reduce your insurance costs.